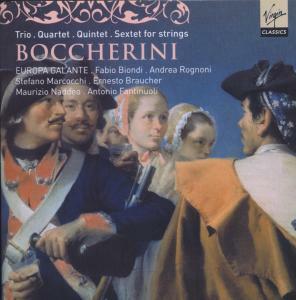 Europa Galante was founded in 1990 by its musical director Fabio Biondi who wanted to form an Italian period instrument ensemble to perform both baroque and classical repertoire. The ensemble has a varying structure and often performs chamber music such as the string sonatas of Italian composers of the seventeenth century. The ensemble’s repertoire includes the operas of Handel such as Agrippina and Imeneo as well as Vivaldi including Bazajet, Ercole sul Termodonte, Oracolo in Messenia and many pre-eighteenth century instrumental works. The group is also widely known for its performances of the works of Alessandro Scarlatti such as the oratorios (Maddalena, La Santissima Trinità), serenatas (Clori, Dorino e Amore) and operas including Massimo Puppieno, Il Trionfo dell’Onore, La Principessa Fedele and Carlo Re d’Allemagna. 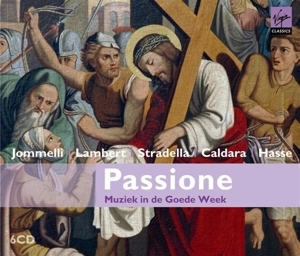 Europa Galante collaborates regularly with the Fondazione Santa Cecilia in Rome to rediscover and restore eighteenth-century Italian operas such as Antonio Caldara’s La Passione di Gesù Cristo, L. Leo’s Sant’Elena al Calvario, or Gesu sotto il peso della Croce by F.di Mayo. In 2016 Europa Galante will perform Boccherini quintets for the Santa Cecilia concert season. Europa Galante has performed in many of the world’s major concert halls and theatres including La Scala in Milan, Accademia di Santa Cecilia in Rome, Suntory Hall in Tokyo, Concertgebouw in Amsterdam, the Royal Albert Hall in London, Musikverein in Vienna, Lincoln Center in New York and the Sydney Opera House. The ensemble has toured throughout Australia, Japan, Europe, Canada, Israel, the USA and South America. Ever since the release of its first record dedicated to Vivaldi concertos, the ensemble has received worldwide recognition, gaining an impressive list of awards. 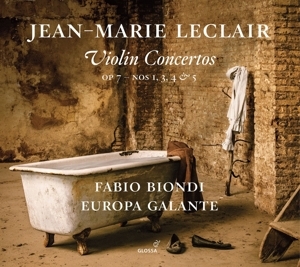 After working with the French record company Opus 111, Europa Galante has collaborate exclusively with Virgin Classics, a partnership which has lasted 15 years.The ensemble has been nominated twice for a Grammy, first in 2004 with its record of Vivaldi’s Concerti con molti strumenti and then in 2006 for its recording of Vivaldi’s Bajazet. 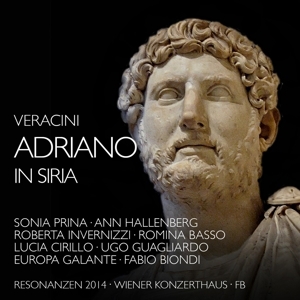 Following their most recent recordings of Vivaldi’s “Farewell concertos” (awarded with the Diapason d’Or), their acclaimed recording of Bellini’s “Capuleti e Montecchi” (featuring V. Genaux and V. Farcas), and a live recording of Handel’s Serenade “Hymen” performed at the Handel Halle Festival, Europa Galante’s next recordings will be the Jean-Marie Leclair Violin concertos and Handel’s opera “Silla” with soloists V. Genaux, D. Galou, S. Prina and R. Invernizzi..
Tours this season comprise performances in Europe (including Switzerland, France, Italy and Spain, Austria and Poland) in addition to appearances in Finland, Dubai, Turkey and Chile with instrumental and vocal repertoire including Hasse’s “Piramo e Tisbe” and Handel’s opera “Silla”. Europa Galante is the resident orchestra of Fondazione Teatro Due in Parma.